3D Person Presents A Taxi. 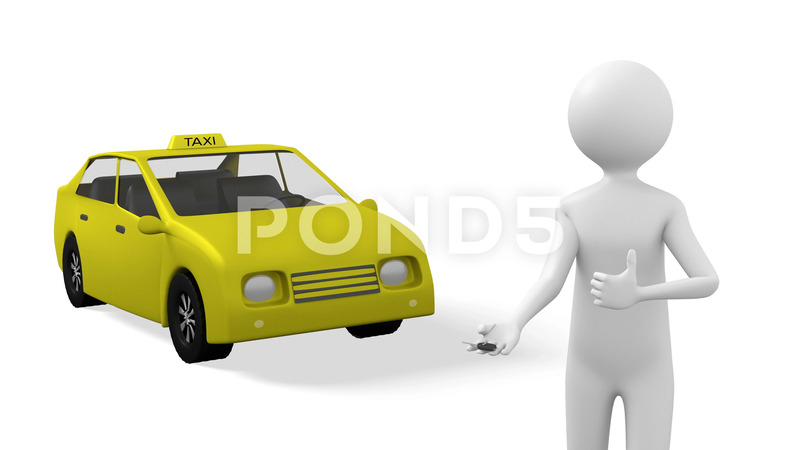 Description: 3D person is presenting a taxi. The person shows the car key in the right hand, and with the left hand makes a gesture of approval. There is a free space for your text or logo on the car.